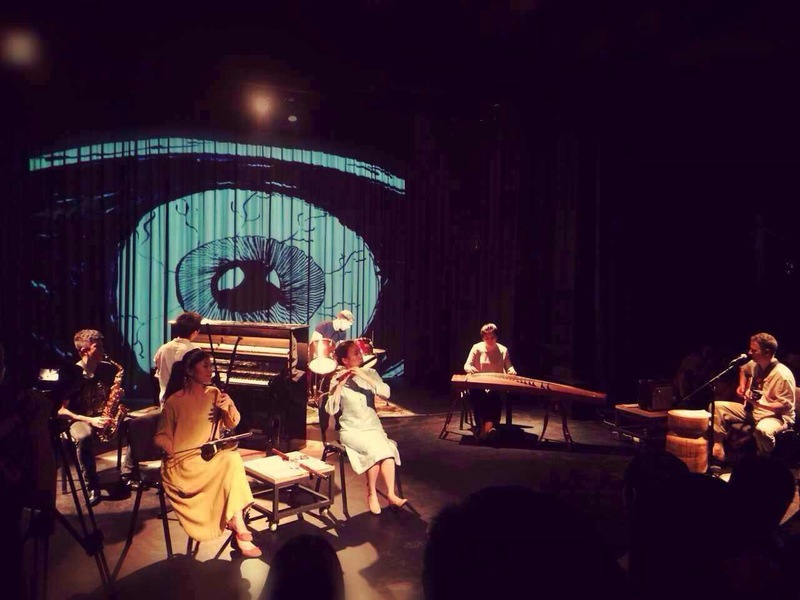 China Residencies sat down and talked to Hu Yin, founder of YINZI Theater in Chongqing about their two-week performance artist residency, and the challenges of running and promoting an experimental theater in a creative district dominated by the visual arts. China Residencies: How long has YINZI Theater been around for? Hu Yin: Hu Ying Theater was the predecessor of YINZI, and was started in September 2010. In 2011 we established YINZI, and I’ve officially been running the institution since 2012 after a few months of prep work. It’s been 5 years now. CR: When did you start the residency program? HY: We established the residency program in 2015. The regions we’re focused on this year are mainland China and Hong Kong. We will have four artists here in total. CR: Are they all performing artists? HY: Yes, because we are a theater and so we aim at arts on the stage. Not necessarily performing, but also directing, playwriting, or even installation artists are welcomed. This April we accepted a female director from Shanghai who just participated in a residency in Denmark. We also decided on two other artists, one who had just been at the International Drama Festival in Tokyo, and one dance artist from Hong Kong who's been active in Hong Kong Arts Festival, the biggest art festival in Asia, and others major events. So we only have one vacancy left now. CR: Do you aim to have four artists per year? HY: Usually we are able to have six, but we’re limiting ourselves to the four we’ve decided upon this time time around because the scheduling became too tight. CR: How do you select the residency artists? HY: So there’s three main ways. The first is from our collaboration with art festivals whose art directors and board committees recommend artists to us: the Hong Kong Arts Festival, Beijing Arts Festival, Beijing Nanluoguxiang Performing Arts Festival, Beijing Fringe Festival, and the Taipei Arts Festival. The other route is receiving recommendations from fellow nonprofit organizations like the British Council, Japan International Exchange Foundation, and Denmark Cultural Exchange. Our residency artists can recommend us to other practicing artists as well. Being that we’ve run the theater for five years, collaborated with more or less one hundred artists, and put on between five and six hundred shows, we’ve built up a pretty solid network. CR: Could you tell us about your background and your experiences? What do you do at YINZI? What motivated you to get the program up and running? HY: I was the initiator of the project. In the past, I used to work on design for hotels, but started focusing on my studio work in 2010, and then developed that into a theater. CR: Why do you choose 501 as your base? What do you think about the art and culture scene here in Chongqing? HY: First of all, I am a Chongqinger. Secondly, I think 501 is the only place where I feel the artistic vibe. Areas like 102 and Huxi Commune aren’t comparable in terms of the amount of artists there. 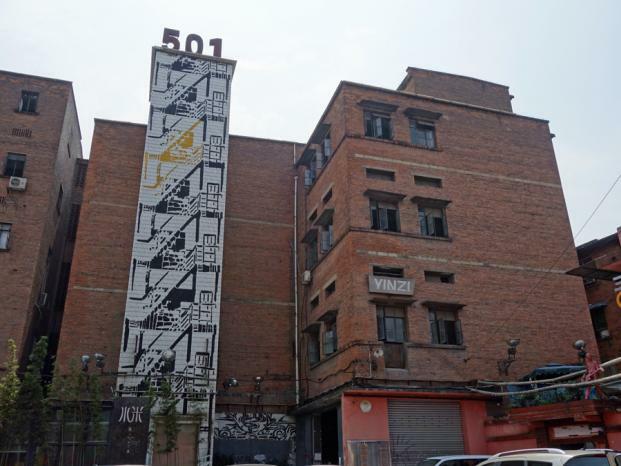 There’s also the matter of their maturity as art zones -- Sichuan Fine Arts Institute has made 501 its base for a while. It’s created such a community here that even if it were to move, I'll bet many artists would choose to stay. CR: How many staff members do you have at YINZI? HY: There’s ten people: six full-timers and four part-timers. As a performing arts space, we might have more people on staff than at an exhibition space. CR: Is the residency geared more towards groups or individuals? HY: It depends on the work. Our first artist, Director Cai, who worked on a three-part monodrama, had someone supporting him. For a documentary theater resident, it can be one-person (plus one support staff) due to its form. We’ve also had artists making work and involving other artists for a period of many years. CR: How long is the residency? HY: We try to limit it to 14 days. CR: What kind of artists do you invite? Are there any specific requirements? How does one apply? HY: We mainly invite artists making work related to theater art production. Anyone interested in the program can send an email to huyin@cqyinzi.com for more information. We want to know why you’re choosing to make your work in Chongqing, why you’re choosing our space, and the specific plans of what you’d like to accomplish. We would like the proposals to be for work that the artist has already started, and just need some support to polish and finish, since it would be almost impossible to complete a piece in this two-week timeframe. Putting on a show takes so much collaboration, and we’ve really seen that from the artists we’ve hosted: from our first poet writing program, poetry theater, to documentary theater in September and Dance Theater in October. One thing to note is that since we’re not an organization focused on the visual arts, artists can create their work elsewhere and bring their performance to our space. CR: So basically it’s just for those who already have very specific ideas about execution in mind to come and refine, finish, and present their projects. HY: That’s right. Because performing artists have only two identities: either playwright or director, and we tend to accept the latter. If the work is not mature, they will have a very difficult time finding a collaborator here to finish. Unlike visual arts, just transforming a material wouldn’t be enough. CR: Why do you accept fewer playwrights for the residency? HY: The experiences we’ve had with playwrights is similar to meeting a visual artist and expecting to see their produced work, but being told that they can only create documentation. We’re a theater, and we need to hold events and performances, just like a gallery needs to put on exhibitions. CR: How often are your events? HY: Basically two to three a month. This month is exceptional in that we have twenty shows from the 30th all the way through June. We’re very busy but it’s fine -- a well-operated theater, like the ones in Germany, have up to 200 shows a month. CR: Did you do any promotion to get more people involved? HY: We had done some, but in Huangjueping the visual arts, by that I mean painting mostly, still dominate. If you don't pay attention to the crossovers, which have been established in the West for a hundred years now, you might notice us. It's not that we don’t promote, but the reality is that Chongqing has never really had a tradition of theater, and so it’s rare to find theater spaces. If you’re in Beijing, it's almost impossible for you to say you’ve never been to a theater. CR: So you’re filling in the gap! Is this the only experimental theater here in Huangjueping? HY: The only one in Southwest China, actually. There’s no theater like us in Chengdu either. Certainly, Chongqing has other drama clubs, but they’re totally different because they don’t really work in the arts. It can cost two months’ efforts for just a 50-minute show. Also, a visual arts exhibition can show for half a month but a theater performance can’t. CY: Have there been any big challenges to operations in the past five years? HY: We provide our own funding, the government subsidizes part of our rent, and we have a sponsor. CR: Do artists pay for their own residency fees? Is there any support from the theater? HY: We hope that artists can find financial support from their governments or other foundations for the travel costs before they arrive. If the artists are from Mainland China, we can support the cost of high-speed train tickets. But for plane tickets or international itinerary, we recommend them to find outside funding. We can offer them housing (but without financial support for electricity and internet), use of the theater, any logistic support, and lighting. However, we have some limitations on the usage of theater space in accordance with our own scheduling. We also don’t have much room for them practice here, so they need to find another space for that. There is no other theater residency program like ours that is mostly free, so we are selective too for that reason: we want professional and qualified artists here to stir up the scene, not those who come here just for an experiment. Even though we are experimental, we also have our standards. For example we don’t want proposals for traditional script-based plays. Huangjueping mainly consists of artists working in installation, sculpture, new media, and sound. We are in favor of artists who understand the concepts and forms of theater, and then deconstruct it by incorporating these other art forms. CR: So the schedule for residency artists would be very tight. HY: Yes, usually they would submit a proposal to us with a very detailed breakdown of their timing: sometimes even meticulous down to the minute. CR: Can you give us a example about how residency artists connect with local artists or institutions? HY: For example, we had an artist that collaborated with local young poets. We do really well with local resource integration, and aren’t limited to just our geographical area: artists from Hong Kong and Beijing are invited for collaborative projects. Sid Peacock, our past residency artist from Britain, was here working with six local artists. It was very impressive. CR: Who are the audience? HY: The theater has some long-term supporters who are really dedicated to this art form, including some directors and producers in the scene. Residents will also invite their friends. There are only 70 seats in the house and they’re actually not always packed with people from the Sichuan Fine Arts Institute, even with their proximity to us, because they’re not so familiar with what we do. HY: We have plenty of events like symposiums, salons, sound-art performances and dance workshops. All artists who come through have their methodologies and practice, and they are always willing to share. I find this to be the biggest difference between exhibitions and performances. Theater requires face to face communication, and these events can be a way to communicate with the audience outside of a limited 50 minute show. CR: Have you ever collaborated with other theaters or performance-art-based residencies? HY: Yes, we’ve collaborated with Penghao Theater, Hong Kong Repertory Theatre, Shanghai Drama Artistic Center, Guling Street Avant-garde Theatre and so on. Recently we worked with the Denmark Embassy on the Danish Children's Theatre Festival. In Europe, there are theater shows just for babies. That to me that is very inspiring! CR: You’ve said that you want to make theater a bigger thing in Chongqing. HY: Yes, because theater has a lot of power. It’s got many dimensions to it beyond just entertainment value: it’s inspiring and healing as well. Theater is fun but also more than that, it be a way to express yourself openly when you can’t do so otherwise. 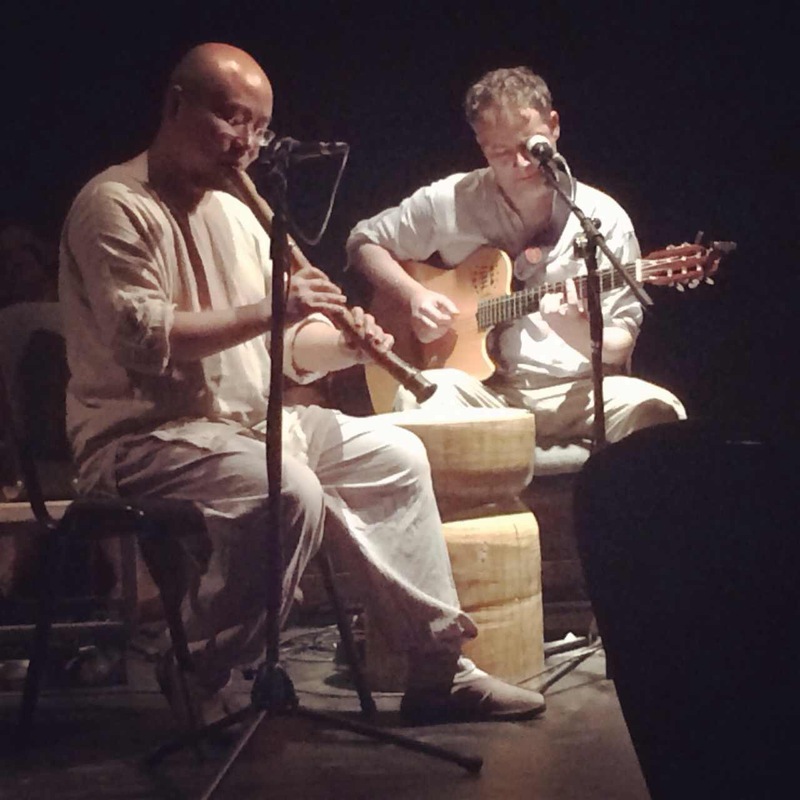 Interview by Yiran Yang on May 20 2015 in Huangjueping in Chongqing, and translated by Sam Gong for China Residencies.